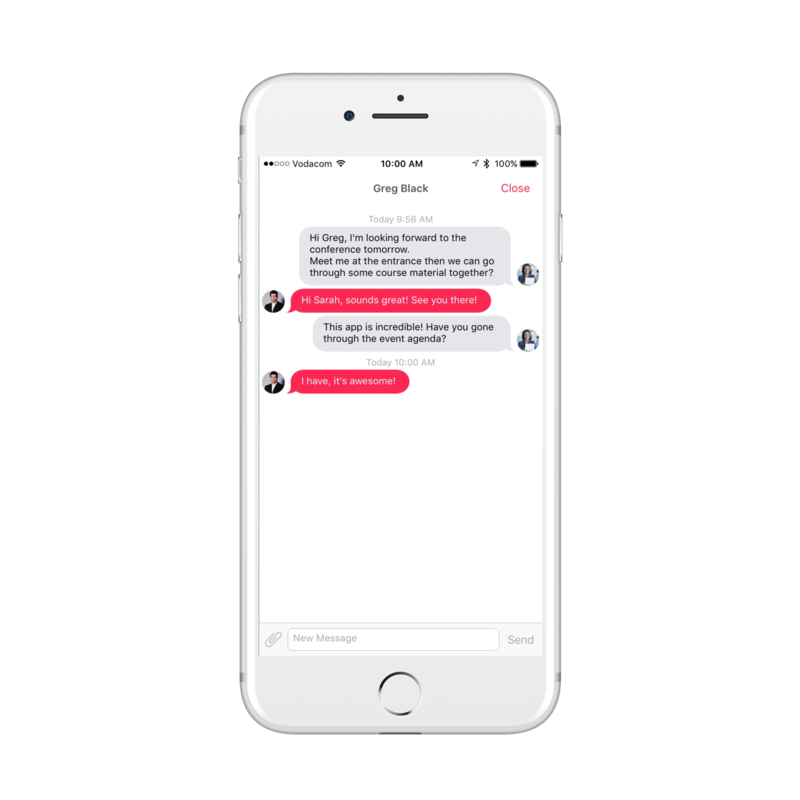 Our in app messaging feature makes it easy for attendees to communicate privately at your event. Attendees can message other attendees to arrange meetings and keep in touch. Your attendees can communicate via the app before, during and even after the event has finished by viewing the attendee profile in the attendee list and selecting the message icon to type and send a message. All the messages between attendees will still be available to view after the event.